In the Spring Season, Kindergarten students from Bainbridge Island School District study the life cycle of chickens as part of their Edible Education Pathway, developed and facilitated by EduCulture, in their role as Edible Education Liaison for the District. 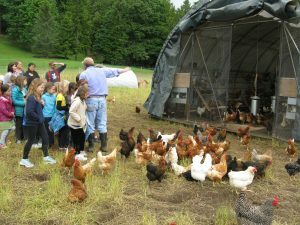 A major field class for students is a two part learning experience that follows fresh eggs from farm to kitchen at Heyday Farm, a partner farm in the south end of Bainbridge Island. Students start their learning experience by putting on their farmer’s hat, touring and learning about a local pastured-raised poultry operation with Farmer Brian MacWhorter and his staff. They learn about how chickens are raised for eggs that feed a community, from where they live, what they eat, to how they behave. We also discuss how chickens are contemporary relatives of dinosaurs and explore other science and environmental learning connections. Our instructors help students select fresh eggs from nest boxes, which they then carry to a commercial egg washing machine at the farm’s processing facilities. 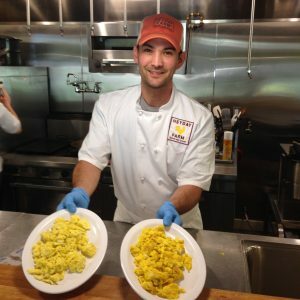 Students then bring their eggs to the Heyday Farm Kitchen where they put on their chef’s hat for a culinary experience with Chef Tad Mitsui and his staff. 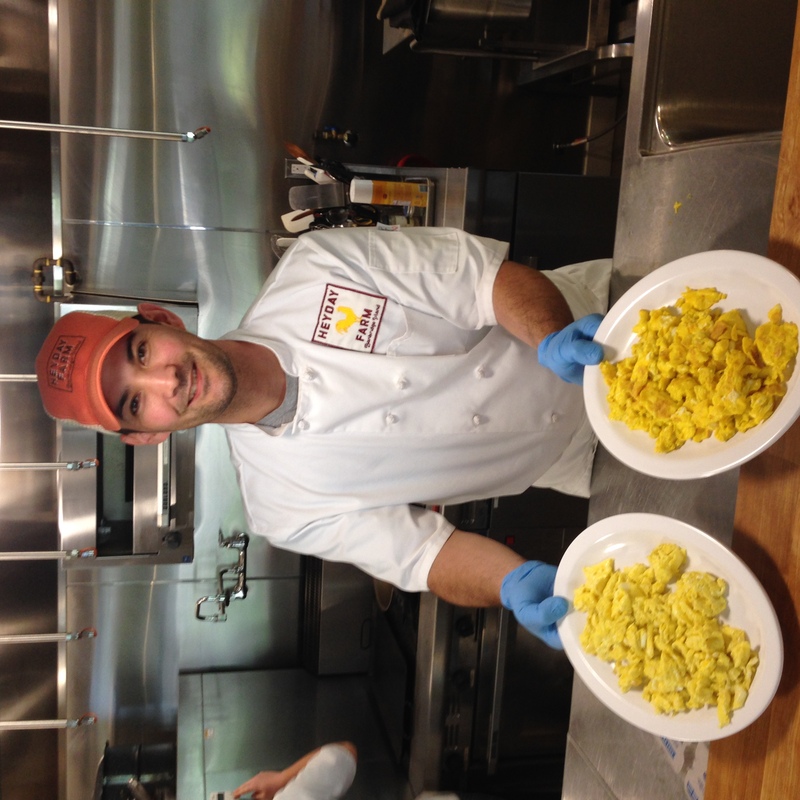 At the Heyday Kitchen, students learn how to prepare their farm egg as a soufflé with fresh farm ingredients. 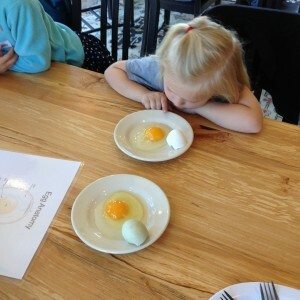 While their eggs creations are in the oven, student’s put on their scientist’s hat to engage in hand’s on series of compare and contrast observations between fresh, local farm eggs and store-bought eggs. Students use all of their senses to examine color, shape, texture, and eventually taste, while exploring the connections between how and where a chicken is raised and the qualities, health and taste of their eggs. When their soufflé’s are ready, students are guided through a tasting lesson to help them appreciate the flavor, texture and other characteristics of their creations. These lived, field experiences inform more lived curricular connections for teachers and students. The outdoor classrooms we have created model effective placed based teaching and learning that is supporting science, math and social studies education. Students see their community as curriculum. Social & emotional learning is enhanced and enriched through these outdoor, field experience through interaction in natural and agricultural settings, engagement with the life cycle of live animals, and the observation of a sustainable food chain of our local community, and meeting local farmer and chefs. Educulture has developed and facilitates a more mature version of this Follow the Egg Field Class for students in the Advanced Food Course at Bainbridge High School. 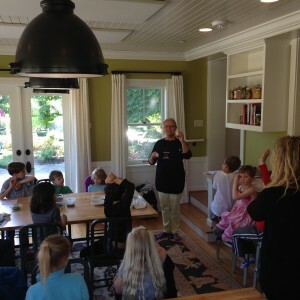 Thank you to Bainbridge Schools Foundation for funding that made it possible to develop the educational architecture to deliver these lessons for Bainbridge Island School District’s Edible Education Initiative. Thanks to our partners at Heyday Farm, Brian MacWhorter of Butler Green Farms and Tad Mitsui of Heyday Farm Kitchen.